Please call us at (847) 381-4100. From the South: Go north on S. Northwest Hwy. You will pass Rosati's Pizza and Bark Busters on the right side of the street. Barrington Animal Hospital will be on your left. If you arrive at CVS Pharmacy, you have gone too far. From the West: Take W. County Line Rd. until it turns into E. Main St. Turn right onto 14/ S. Northwest Hwy. 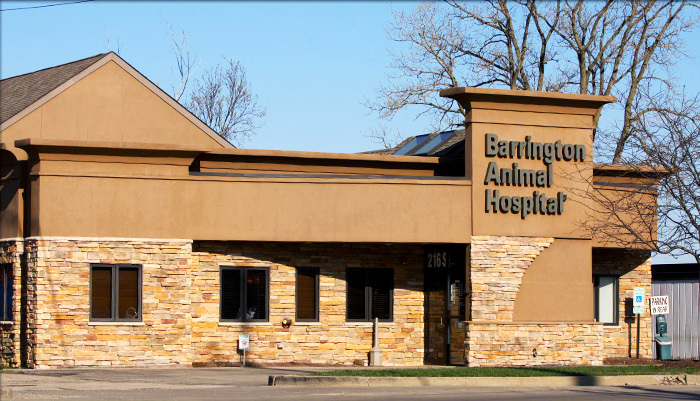 Barrington Animal Hospital will be on your right.